One of the special options Flotron offers for our Rotation Fixtures is a tow bar. The tow bar can be stowed up at near a 90 degree angle to the floor. By simply removing a clip, the tow bar can be lowered for attachment to a towing vehicle. 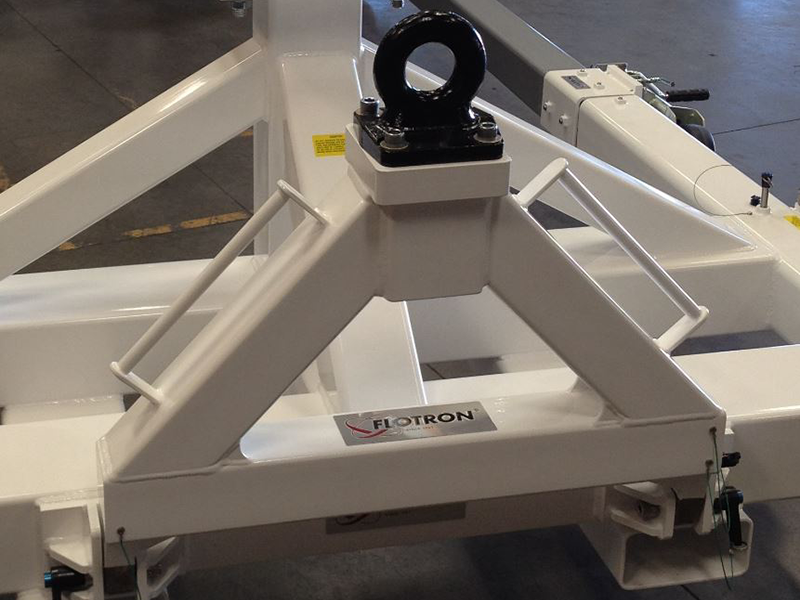 If special tow bar requirements exist, Flotron can modify our existing tow bar designs to meet them.